Stackable monoblock chair made of glassfiber reinforced polypropylene. 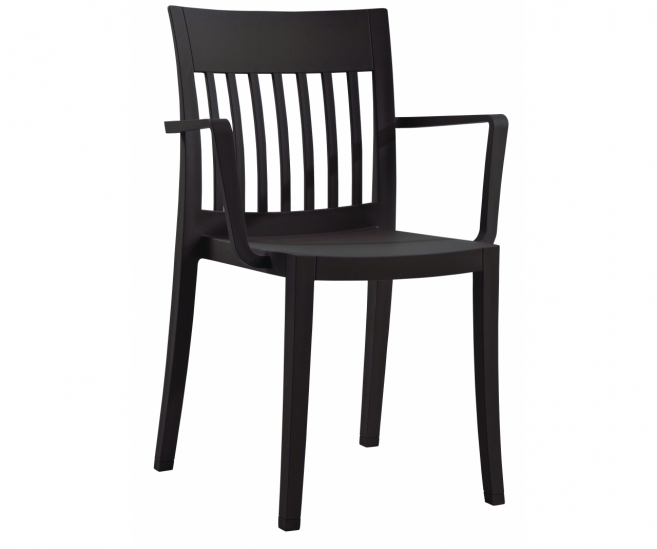 Eden is available with or without armrest with a vertically slatted backrest. Highly comfortable chair thanks to the upholstered seat covered in fabric. The upholstered seat is available in various fabrics and versions. 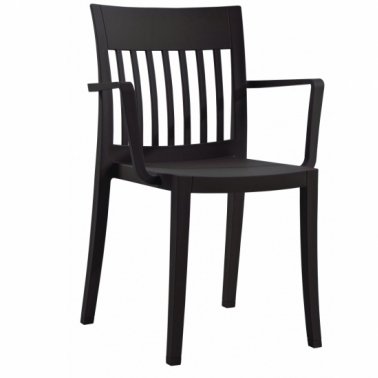 With its simple, clean lines suitable for living/dining areas in both residential and contract places. Anti UV stabilized. Suitable for indoor and outdoor environments.